The body has a strategic plan. Now it just needs staff and funding. 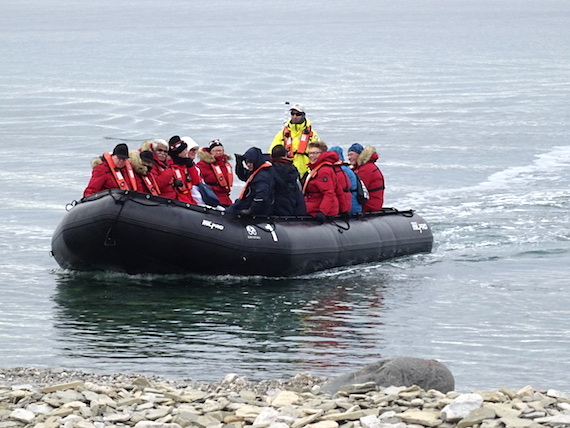 One of Nunavut’s more obscure public bodies, the Nunavut Marine Council, can now boast that it’s got a “five-year strategic plan” — but right now, that’s about all it’s got. The strategic plan, which was completed last year, was announced to the public just this week, following a delay related to an error in some translated materials. 1. Establish itself as a key voice on marine shipping. 2. Establish itself as a key voice on marine conservation. But the organization, whose existence is legally allowed by the Nunavut Agreement, still needs funding to do the work it thinks it should be doing. “At present, limited available funding significantly restricts the initiatives and activities that can be advanced by the Nunavut Marine Council,” the strategic plan says. And the organization, if it can be called that, still doesn’t amount to much more than a legal abstraction. It has no building, no address, no phone number and no staff. But it does have a website. That’s because it’s not a standalone entity. It consists of the four institutions of public government, or “IPGs,” created by the Nunavut Agreement: the Nunavut Impact Review Board, the Nunavut Water Board, the Nunavut Planning Commission and the Nunavut Wildlife Management Board. Effectively, the council is controlled by the executive directors and boards of these four bodies. Under section 15.4.1 of the Nunavut Agreement, these four bodies “may” get together and call themselves the Nunavut Marine Council. That can occur when a Nunavut marine issue comes up that’s beyond the mandate of any single organization. When that happens, the four organizations are allowed to act together as the Nunavut Marine Council to provide advice and make recommendations to government. But since 1998, they’ve been hampered by a lack of money to get stuff done. So, for that reason, they divide their to-do lists into two parts. One part states what they think they can do now, and the other part states what they could do if they had more money. Since 2015, each of the four member bodies has $25,000 each per year, for a total of $100,000 a year, to pay for activities related to the marine council. That money only began to flow after the lawsuit settlement agreement between Nunavut Tunngavik Inc. and the federal government led to a new arrangement for implementing the Nunavut land claims agreement. With the money, the four bodies built a website, which they launched in 2016. As individual organizations, raise awareness about the marine council. Find ways to get the NMC invited to share opinions and recommendations with government. Seek funding for a dedicated staff person. Encourage Inuit to train as researchers. Design and carry out a public engagement strategy. Develop advocacy strategies on specific issues. That NMTCI committee was set up by the federal government in 2015 to pinpoint safer shipping routes through the Canadian Arctic.